Nintendo has released its financial results for the past year, which brought stronger profits than expected despite sales being down; the results are testament to a leaner, meaner Nintendo. It's predicting more profits in the coming year, though the 3DS family in particular is expected to decline. Yet in its section outlining basic plans for the coming year Nintendo notably places DLC for Mario Kart 8 and Super Smash Bros. right at the top of its focus. This section also highlights a "gaming application for smart devices", clearly referencing the current partnership with DeNA. For "Nintendo 3DS" and "Wii U," in addition to maintaining the performance of already-released titles with strong sales potential, new titles will continue to be introduced in order to further expand the installed bases. Specifically, by sequentially introducing additional download content for blockbuster titles such as "Mario Kart 8" and "Super Smash Bros. for Nintendo 3DS/Wii U," we aim to keep these titles played more actively. For "Nintendo 3DS," the exclusive "New Nintendo 3DS/New Nintendo 3DS XL" title "Xenoblade Chronicles 3D," and other first party titles such as "Rhythm Tengoku (temp.)" and "New Fire Emblem Game (temp.)" will be released. In addition, a number of key titles from third party publishers are scheduled for release. For "Wii U," in addition to titles such as "Splatoon" and "Yoshi's Woolly World," "Mario Maker (temp.)" which offers a new taste to the 2D Mario series will be released this year marking the 30th year since the launch of the original "Super Mario Bros." game. Meanwhile, for "amiibo," which was launched last year, new "amiibo" cards and yarn-knitted "amiibo" will be added to the "amiibo" lineup. We aim to stimulate demand for "amiibo" by expanding compatible software titles and by releasing the Nintendo 3DS NFC Reader/Writer accessory for Nintendo 3DS, Nintendo 3DS XL and Nintendo 2DS. In addition, a new source of revenue is expected from a gaming application for smart devices which will be released this year. The mention of Xenoblade Chronicles 3D suggests this may have been written as the financial year ended at the end of March, though the prominent reference to "sequentially introducing" DLC for games like the two Wii U blockbusters certainly emphasizes the importance of this content. We know that Smash Bros. extras are scheduled to be introduced in the remainder of the year, yet as we've said previously we'd be very surprised if Nintendo doesn't also capitalise further on the positive reaction to the kart racer's DLC. Does the idea of more DLC for these games - as its evidently important in Nintendo's plans, fill you with confidence for the coming year? Let us know. Given that this will have been written for plans starting 1st April, the Mario Kart 8 DLC could be referring to the already released pack 2. I hope not though as more DLC would be fantastic! Pikmin Cup please! And Arwing cup! Yay! Is this the first time they've mentioned the new Rhythm Heaven game outside of Japan? I started worrying. Yeah, it's possible that they're referring to DLC Pack 2. The fiscal year ended March 31 and the DLC was released in April. That said, I would happily fork over money for battle arena DLC, like the whale I am. Wait a minute, does this mean the new Rhythm Heaven will be released outside of Japan? Would definitely buy more Mario Kart 8 & Super Smash Bros. track and character packs! @abe_hikura Or when a new Mario Kart releases in the future and everybody complains that it doesn't have 12 cups right off the bat. I think this was the last DLC Pack for Mario Kart 8. I doubt they'll do more. @abe_hikura It doesn't bother me, Nintendo have enough staff who can come up with a bunch of good ideas every year for new tracks, rather than just 16 tracks every 5 years. I would be happy with more charecters and parts for MK8, just as long as they don't over charge for them. Heck, they could include the arcade GP tracks too. I think there'll be one more DLC pack to address the battle mode and add extra tracks based on past designs. They've clearly heard people don't like it so that could be the last addition. Don't use it myself but do want it for those who enjoy the mode. Does that mean Fire Emblem If is N3DS exclusive? Give me more MK8 DLC forever please & thanks Nintendo!!! As long as the quality and price of the dlc continues to be fair I don't have a problem with more, though you do have to wonder if it would be better to save it for the next game in the series or else they might run out of ideas. Still this is Nintendo I am talking about, they seem to have no end of good ideas! I think it's safe to say Nintendo has realized how painful the wait for a new game is, especially when we wait just for a few characters or settings to return. Good to hear. A new Rhythm Tengoku?! YES!! @Krisi @ChibiJib This section was written in Japan, so it does not confirm a western release. It can still happen though. @Linkmeister I believe they were highlighting upcoming successful 3DS releases for the handheld portion. While the wording is a bit off, it didn't really confirm that FE was new 3DS exclusive. Noo! Think long-term guys. The only reasonable DLC would be to add a meaningful Battle Mode. It all just feels so out of balance to me. MK8 is jam-packed and twice the game MK7 will ever be, yet there is so much more potential to MK7. MK8 is missing nothing but a good Battle Mode at the moment, while MK7 could've used some more attention imo.. Sure, it's a portable, but still... we're about to reach the point where handhelds and home consoles will be very similar and possibly melt into one (when taking technological advancements into consideration). @TingLz Ok. The way it was worded coming after Xenoblade made me think that. @Goginho Mk7 Came out a while ago, I'm sorry but they probably won't add DLC. Mario kart 8 is there new baby. If they are going to add more characters to MK, then PLEASE nomore Mario or Peachs. 3 each are enough. R.O.B would like a comeback ya know. They could be saving it for the NX. Plus the Wii U needs more love. I'm all for more DLC as long as Nintendo keeps it reasonably priced like they have been. $12 for sixteen additional tracks and six new characters is quite good If you think about it. MK9 won't be for at least a few years so any additional content is welcome by me. C'mon! Give me my Kirby and Pit! Or if it's not too much to ask, ROB! It better not be referring to the 2nd DLC pack. After all, there is still one key feature missing from Mario Kart 8: Bowser Jr.! Oh, and battle mode. Nintendo, add the Star Fox crew as drivers please and do maybe the DKC sidekicks.....oh and how about some DKC:TF tracks? I'm fairly certain that by mid year 2016 the 3DS will be replaced by Nintendo's next handheld. As for MK8 and Smash DLC, I'm not surprised but excited to see these platforms get additional support. 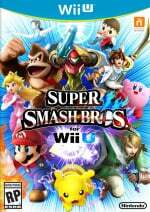 I'm not worried about the inevitable Wii U replacement in probably 2017 or 2018 as it will offer new and unique gameplay with likely full 1080p support. And Nintendo has enough staff to support this. 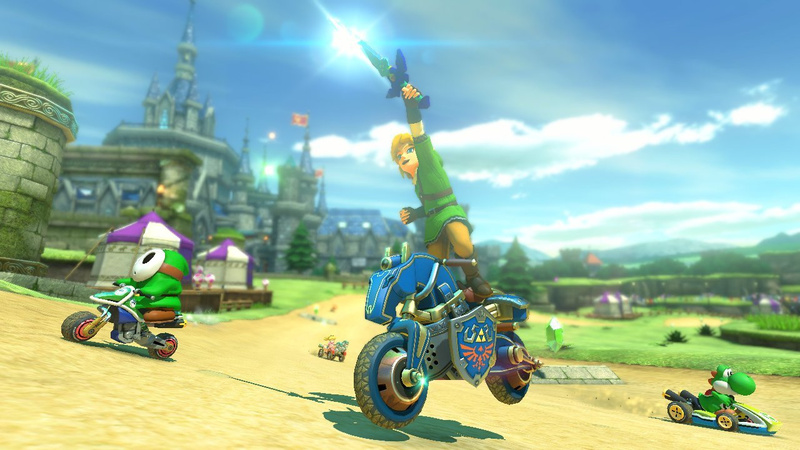 Please, more MK8 DLC! I want a Port Town track. Also, they don't need to stimulate demand for amiibo...they just need to stimulate amiibo STOCK. @Angelic_Lapras_King Baby Park confirmed Pink Gold Baby Peach (or Baby Pink Gold Peach?) exists. Please Rhythm Heaven in the West!! And even if this was written in Japan, it still mentioned 2DS, so that is something. And I welcome more DLC for any title. Yesterday I beat the first Adventure Map on HW with all A ranks. 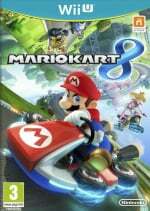 @Danrenfroe2016 its less about quality and more say they release another 4 cups as DLC that will bring the total up to 20 then a few years later they release Mario Kart 9/NX and it only has 8 cups (as standard) people could complain the game felt small. @abe_hikura naw I don't think so. If you did not buy any dlc for 8 then there is no difference. If you did, you will remember the extra cash you shelled out and will probably be happy to do it again. And I would almost bet money mk9 will have 10 courses to win over those aware that the game might be dlc heavy and reluctant to buy in thinking that the games is "not a full finished game"
@outburst Yes, Pikmin Cup! And more Pikmin DLC, while you're at it, Nintendo!!!! @TingLz Oh... Is it a Japanese article? But there the game already has a full title. While I'm sure I'll buy the Mario Kart 8 DLC...the Smash Bros. DLC would need to be truly spectacular to make me spend money for it. Mewtwo's great and all (and I got him for "free" because I own both versions), but I play Link, Toon Link, Shulk, Zero Suit Samus, and Kirby more often than anyone else...so extra characters could prove to be a waste of money...and I play on Omega Stages more often with my friends, so that'd be kind of pointless too unless I really wanted another reskin of Final Destination (which would be cool, but I don't see me spending THAT much money on it unless the Normal version of the stage is REALLY exciting). If any more DLC is added, it better be Battle Mode stages. Ideally, 8 free battle mode stages, and 4 extra stages as DLC packaged with new characters and karts would be great. It would just make sense, anyways. If they allow you to pick from both race tracks and battle arenas, then everyone wins. @abe_hikura So... you want them to no longer support the game like what they did with 7 and Wii? Personally, I like them releasing the new content to keep the game fresh otherwise it just turns into a game that collects dust after a year or so. @ikki5 I believe my comment wasn't about support but rather that i was worried that if MK8 had lots of DLC then when 9 comes out with the traditional 8 cups people COULD complain that it didn't have enough content , People like reviewers who sway public perception of game. Battle mode would seal the deal with Mario Kart 8 being the best in the series. @abe_hikura Or C) Don't release MK9 at all and let the MK8 DLC train run for even longer. All I need is Waluigi Pinball. Please Nintendo. @abe_hikura I think Nintendo will ignore the 3rd parties' wish for a powerhouse console and do things their own way again (like with Wii U). This time the interest for buying the console coming from their other means such as the mobile DeNA deal and Universal theme park deal. One of the biggest reasons the Wii U didn't sell well was of course the terrible marketing, their theme park deal would clearly change that. Bring on more MK8 DLC , Smash DLC needs a price check though... More for either game is welcome though ! More Cups and Kart's , more fighters and stages please discount bundles welcome ! I don't see how someone coukd be against more tracks. The game itself is worth the $60... Actually it was $34 for me bc i got $23 trade in with NSMBU, then got NSMBU back with digital bonus on give away. I then got a $6 credit with digital delux. Anyway, I got my money's worth easily on the original purchase and welcome more @ the prices they suggest. With the dlc, i'd say the life of the game is easily extended by a year and a half. More than 600. I kind of went crazy with that game... Really got into it in a completionist sense. Every gold medal for every adventure map and every gold skulltulla, heart container, heart piece, weapon, etcetera. You name it, I did it. Crazy? Yep. It's the only New Zelda game we will probably get for the Wii U. @Zach777 wow. I think I have a little over a hundred and seventy hours, I am pretty sure I will not completed, My Link is at a level 150ish I think. I just hope that they'll come out with more DLC than just once every few Months or so for SSB.